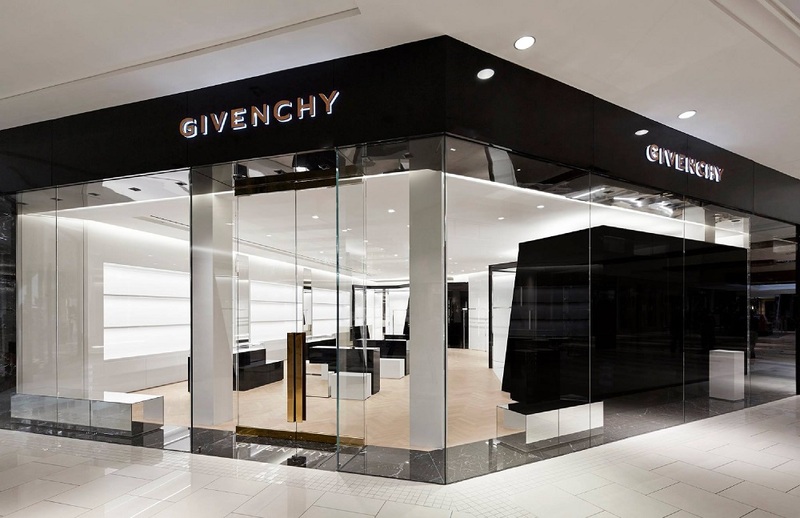 The third standalone store in the States for LVMH-owned atelier Givenchy, the Aventura Mall location is also the second Miami location. At the 2,000 SF, the boutique consists of a black storefront with gold lettering. Inside, a herringbone-patterned wooden parquet floor sets the stage for monochrome black and white fixtures. The end result is a sophisticated juxtaposition of monochromatic elements that pays homage to the packaging that Hubert de Givenchy used, now translated as half-opened black lacquered boxes. KPA provided AOR services for this location.